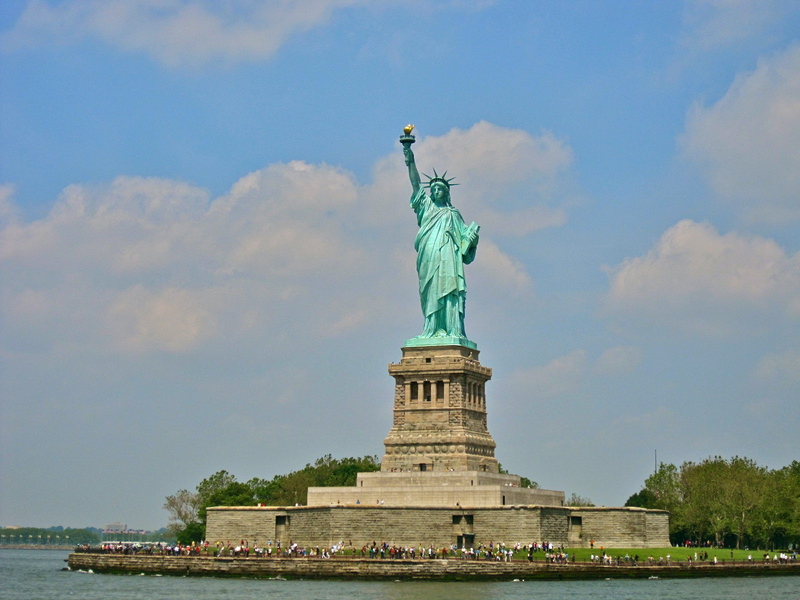 One of the many things tourists look forward to when visiting New York is visiting Liberty Island and of course, seeing the Statue of Liberty. Three years ago, I finally got the chance to go to New York for the first time and obviously, visiting the Island was on our itinerary. My cousin and I decided to get the hop-on/hop-off bus tour package that comes with the New York Pass so we wouldn’t have to spend on transportation going from one tourist spot to another. 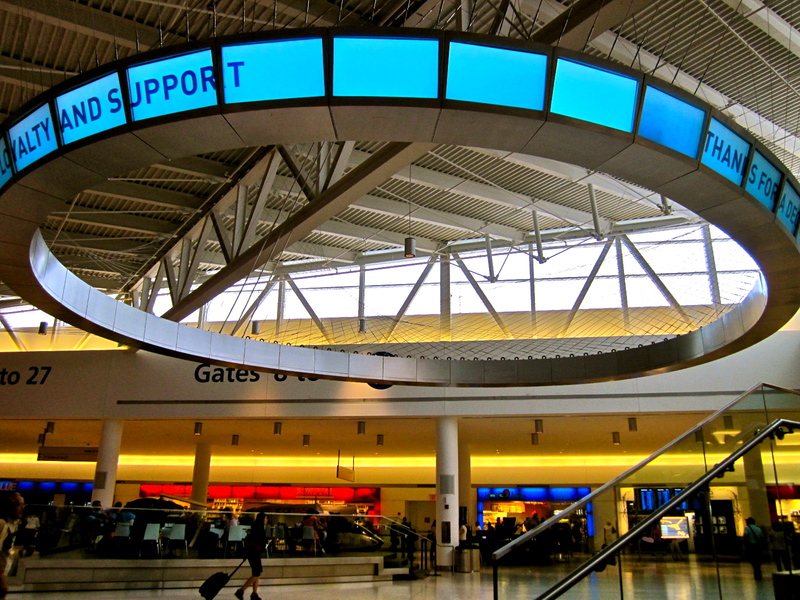 We got the Red Eye flight from San Jose to New York, which we later on realized was a mistake, so we arrived in New York at around 7 in the morning. Hello, JFK! It was obviously extra foggy that morning, although when we got to Manhattan, it was scorching hot! Not exactly the New York holiday I was hoping for, as I lean towards colder weather. Being the restless person that I am, I was able to sleep for less than an hour on the six-hour flight and had to go straight from the airport to the starting point of the bus tour. We didn’t really know how the hop-on/hop-off system worked so we thought we had to go to the starting point. Only later did we find out that we could get on/off the bus any time, which was actually pretty obvious from the tour name! After a few stops and falling asleep on the bus countless times, we decided to get off at one of the stops, Battery Park, so we could take the ferry to Liberty Island from there. The lines for the ferry were crazy long, but that didn’t stop our determined selves to see Lady Liberty. After waiting for God-knows-how-long, we went through security and finally got on the ferry excited to see Liberty and Ellis Island. After quite a while on the ferry, we finally got a close look at the Statue of Liberty and took our rightful photos with her. I honestly don’t remember how long the ride was cause my cousin and I were falling asleep on the ferry, but good thing we didn’t miss this part. Yes, this is how close (or should I say far?) I had gotten to famous Liberty Island. And unfortunately, we chose not to go down the ferry to see her up close. And why, you may ask? The answer is simple: we were too sleepy. Although after telling my friends about it and them saying I wasted the opportunity, I actually don’t regret it. 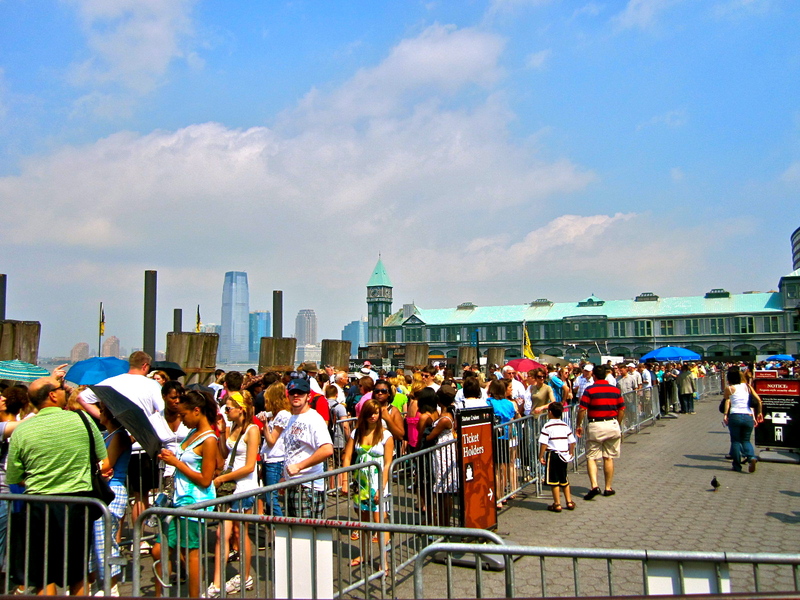 We saw the lines to see Lady Liberty up close were way longer than the lines to get on the ferry and our tour guide said it would take another 2 hours to catch a ferry back to Battery Park so we decided not to go down anymore and just spend the rest of the day in the city. 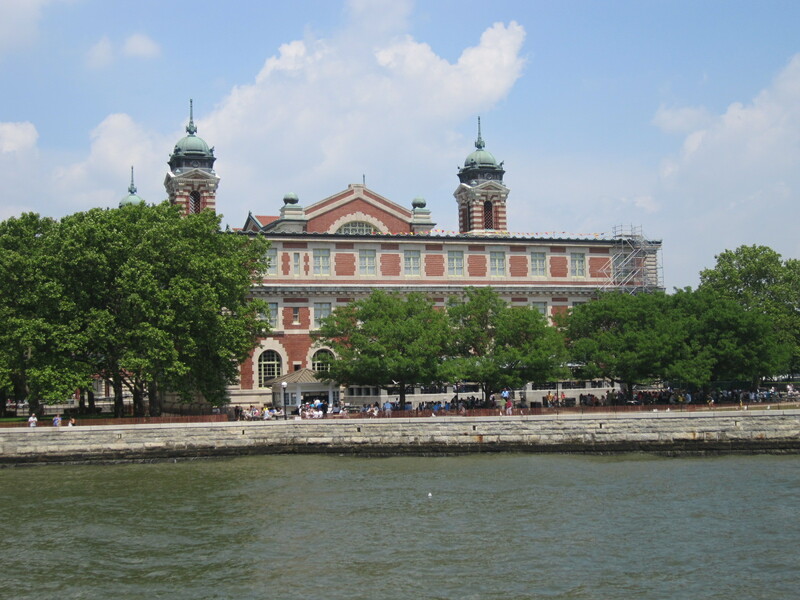 We also kind of wasted the trip by not going to Ellis Island, but then that gives me all the more reason to go back, right? 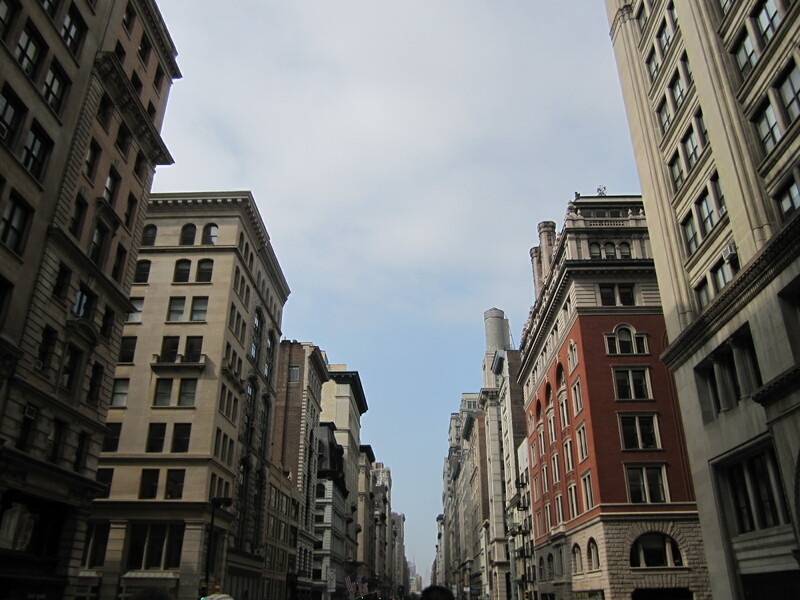 So a tip for those traveling to New York: Get a good night’s rest before starting any kind of tour in The Big Apple! Or let alone, don’t ever take the Red Eye flight when you have something planned as soon as you arrive. 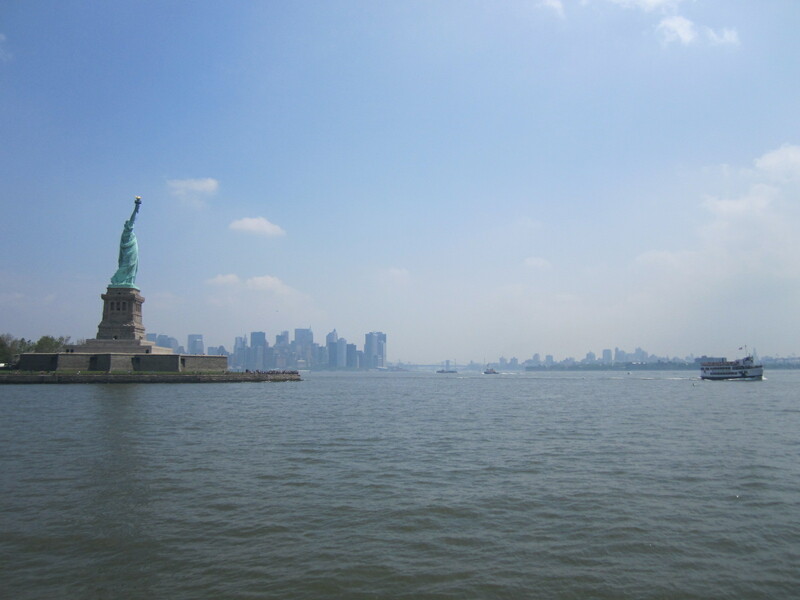 Regardless, I still saw the Statue of Liberty, which was dream come true. 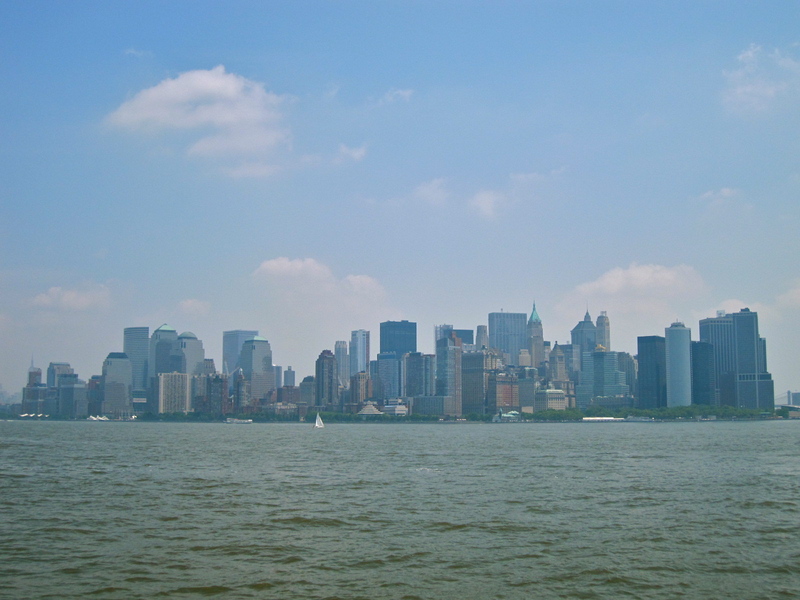 Even if we didn’t spend time on Liberty & Ellis islands, we did get this breath-taking view of the Manhattan skyline from the ferry; and let me tell you, that was one heck of a highlight. Till we meet again, Lady Liberty!